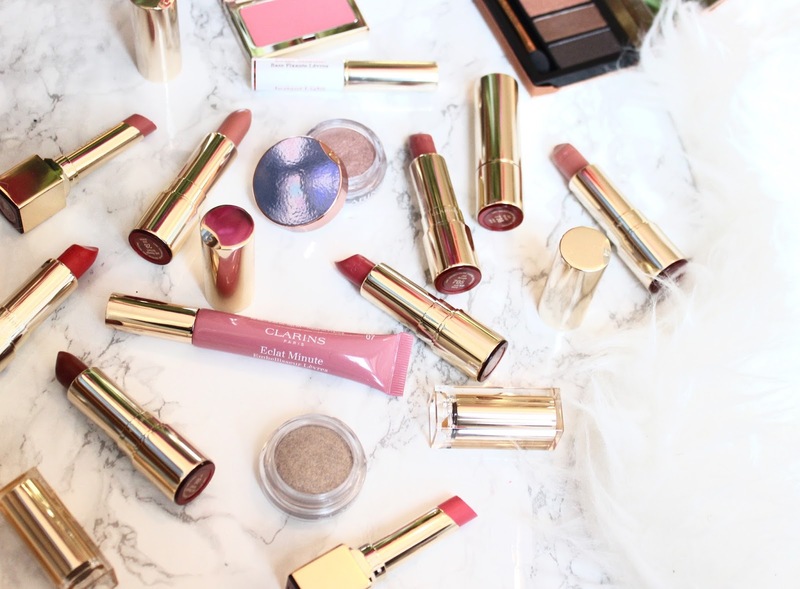 When it comes to Clarins I'm always a big fan of their seasonal releases, especially their Spring collections as the always seem to nail it. Their past Spring releases have embodied blooming flowers and light pinks and this year is no different. I've included all of their latest releases in one post to save you on scrolling time. Firstly, let's talk about the new shades they've added to their incredible Joli Rouge Lipstick range. Because of the success of these lipsticks they have added a number of new shades ranging from Cherry Red (featured in this YouTube tutorial) to lilacy pink hues. What I love about these lipsticks is that although they're super hydrating they also last and leave a lovely stain/tint on the lips. 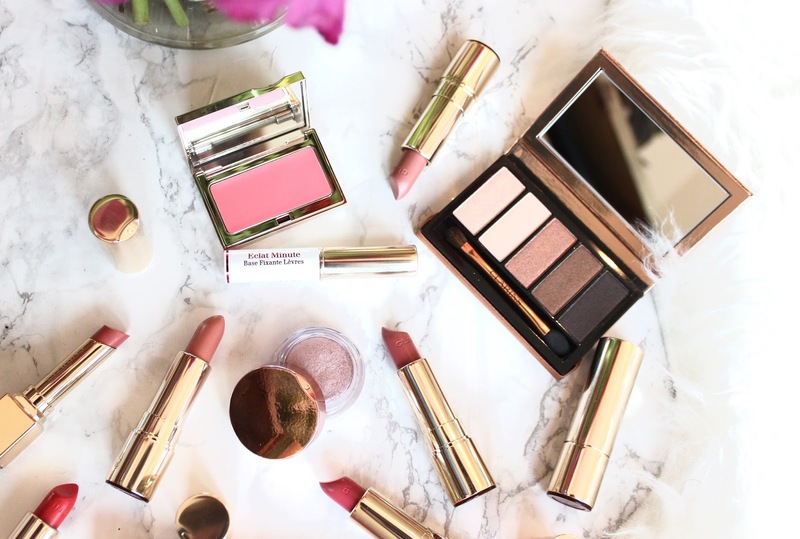 Next is their new Spring Instant Glow Collection, which the name itself just suggests everything you need in a collection. There are 4 new shades of the Rouge Eclat Lipsicks, along with two new shades of the Instant Light Natural Lip Perfectors (amazing, I know). There's a beautiful mini, super compact eye shadow palette which contains a mix of the most stunning bronzed shades and then also 6 new of their Ombre Iridescent Cream to Powder Shadows. Then finally a new Multi-Blush cream to powder blush in the shade Rose, which seems very fitting. Lastly, is something very exciting. 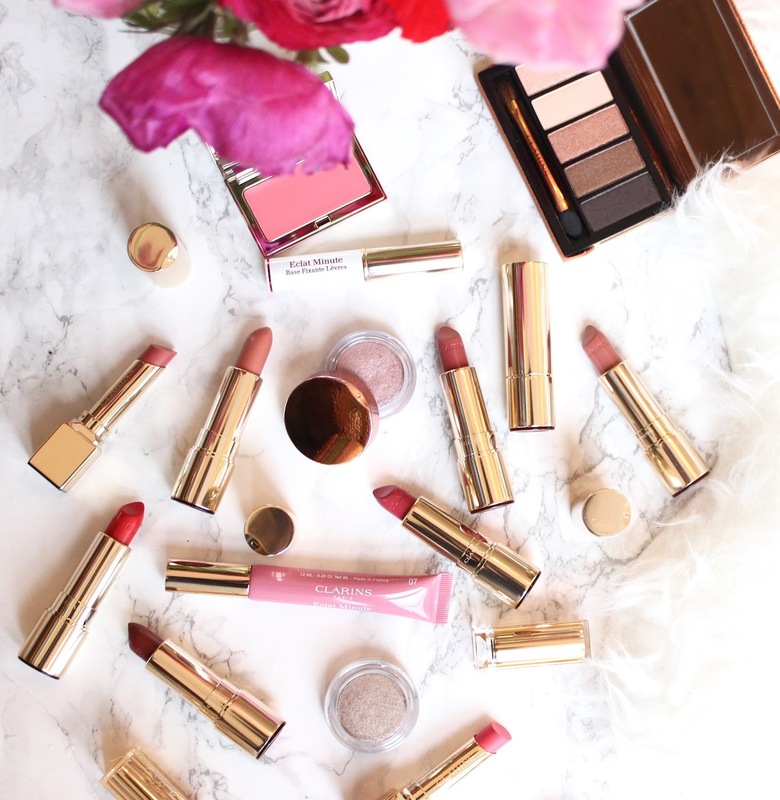 As you know from previous posts, I'm a huge fan of the whole Instant Light Lip Perfecting range and Clarins definitely listened to their customers as they've release a new Lip Perfecting Base. 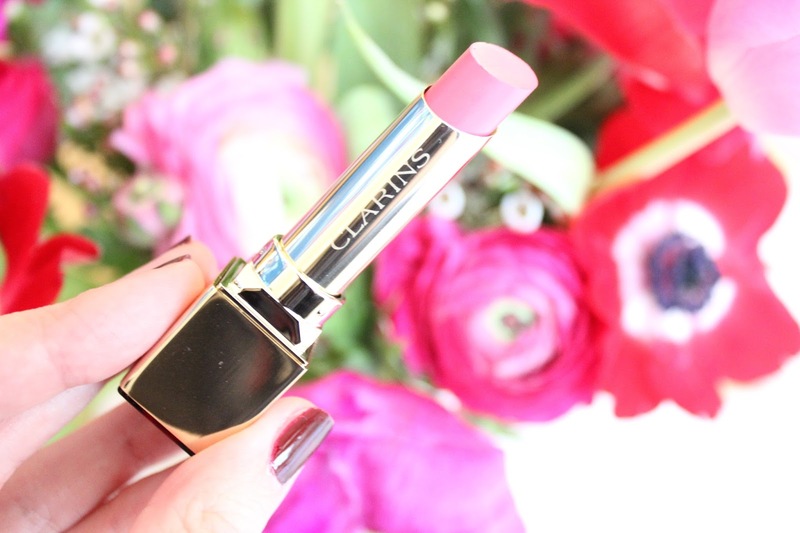 This aims to prolong lip products whilst also keeping them in place. I like to use this in the morning before I apply anything to my lips as it acts as a lip balm, hydrating the lips and then also creates a beautiful base for lipsticks. That Lip Protecting Base sounds so good and worth a try, I know what I'm adding to my wishlist. 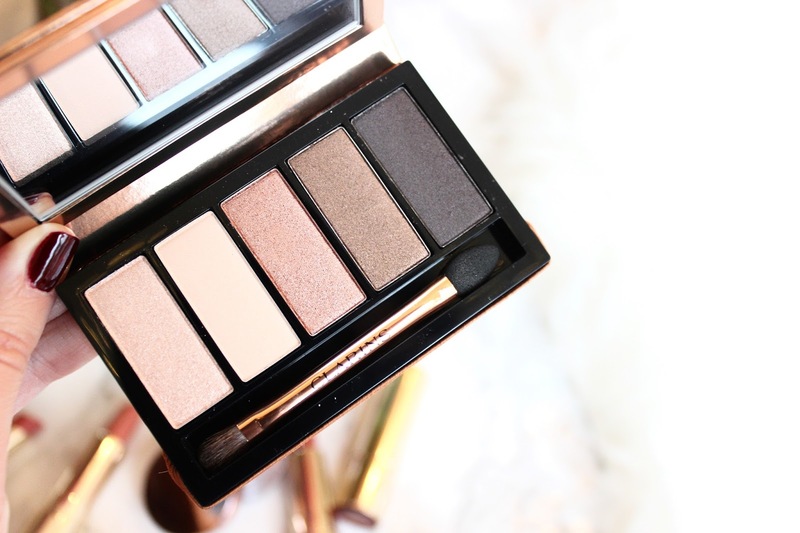 The eye shadow palette looks perfect for travel!